Verizon Communications Inc. (NYSE:VZ), the No. 1 U.S. wireless carrier, missed earnings expectations for the first quarter of its fiscal year. Verizon reported net income of $3.45 billion, or 84 cents per share, in the quarter ended March 31. This was down from $4.31 billion, or $1.06 per share, reported in the same period a year earlier. On an adjusted basis, earnings per share was 95 cents. Analysts expected adjusted earnings per share of 99 cents and revenue of $30.77 billion. Verizon also reported its first-ever quarterly loss of subscribers in the first quarter. Verizon said it lost 307,000 retail postpaid subscribers, the more lucrative kind of wireless customer. The category covers phones, tablets, smartwatches and other connections. For cellphones alone, Verizon lost 289,000 customers. 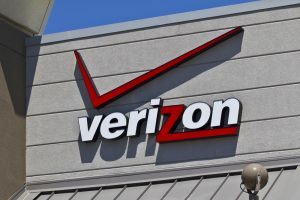 Verizon has had quarterly losses in post-paid phone customers before, but not when other wireless connections are included. Analysts were expecting net additions of 222,000, on average. Total operating revenue dropped to $29.81 billion from $32.17 billion a year earlier. Total wireless revenue fell 5 percent to $20.9 billion. Churn, or customer defections, increased to 1.15 percent of total wireless subscribers, higher than the average analyst estimate of 1.03 percent. Investors were not pleased with the news. Verizon’s shares were down 1.2 percent at $48.33 in midday trade. The maturing market for U.S. wireless service has left Verizon struggling against smaller rivals T-Mobile and Sprint. Growth in the wireless subscribers has slowed down now that most Americans have a cellphone. Companies instead have turned to stealing customers from each other with lower prices and incentives to switch. Last year, T-Mobile gained 3.3 million post-paid phone customers, while Sprint gained 910,000. Verizon gained 209,000 post-paid phone customers in the period and AT&T lost 1.2 million. Verizon is now offering an unlimited data plan for the first time in more than five years. T-Mobile turned to unlimited plans to lure customers, as did Sprint, forcing Verizon to resurrect an unlimited plan of their own. Verizon’s unlimited plans are more expensive than options from Sprint and T-Mobile, but Verizon has a better network. Verizon is exploring other revenue streams, including a $4.48 billion deal for Yahoo Inc’s core business, to diversify its business. Verizon has also purchased AOL. Verizon’s main competitor AT&T Inc. plans to diversify its business through an $85.4 billion acquisition of Time Warner Inc. and has already purchased satellite TV company DirecTV. Verizon Chief Executive Lowell McAdam said he is open to deal talks with a variety of companies, including Comcast and Walt Disney Co. Chief Financial Officer Matthew Ellis says the company will consider deals that are in the interest of shareholders.